Red WeigelaDeciduous shrub. Moderate growth rate. Densely rounded form. Medium-sized purplish-tinged.. Dwarf Red WigelaDeciduous shrub. Moderate growth rate. Compact growing habit. Attractive deep green .. Pink WeigelaDeciduous shrub. Moderate growth rate. Rounded form. 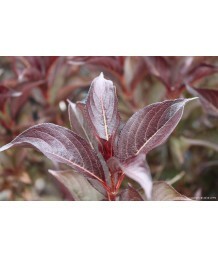 Medium-sized dark green oval leaves..
Red WeigelaDeciduous shrub. Moderate growth rate. Densely rounded form. Medium-sized dark green oval.. Bright Pink Reblooming WeigelaDeciduous shrub. Moderate growth rate. Rounded form. Medium-sized dark.. Bright Red Reblooming WeigelaDeciduous shrub. Moderate growth rate. Rounded form. 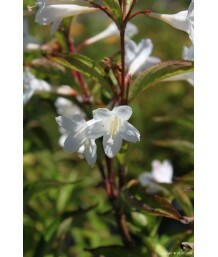 Medium-sized dark ..
White WeigelaDeciduous shrub. Densely rounded habit. 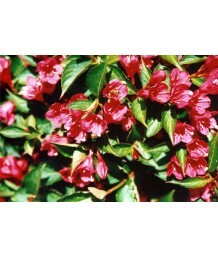 Bloom occurs singly or in clusters all along th..
Red WeigelaDeciduous shrub. Moderate growth rate. Compactly rounded form. Medium-sized deep purple o.. Dwarf Red WigelaDeciduous shrub. Moderate growth rate. Compact growing habit. Attractive bronze-red .. Dwarf Red WeigelaDeciduous shrub. From the breeder of Wine & Roses comes a new dwarf Midnight Wine. .. Pink WeigleaDeciduous shrub. Moderate growth rate. Rounded form. Medium-sized dark green oval leaves..
Variegated WeigelaDeciduous shrub. Compact habit with a moderate growth rate. Narrowly ovate, mid-gr..